As the University of Texas debuted its new Latino Leadership Award, it was announced that the first winner would be newly-elected Texas Land Commissioner George P. Bush. In conjunction with its Latino Research Initiative, UofT awarded Bush the honor early this week. 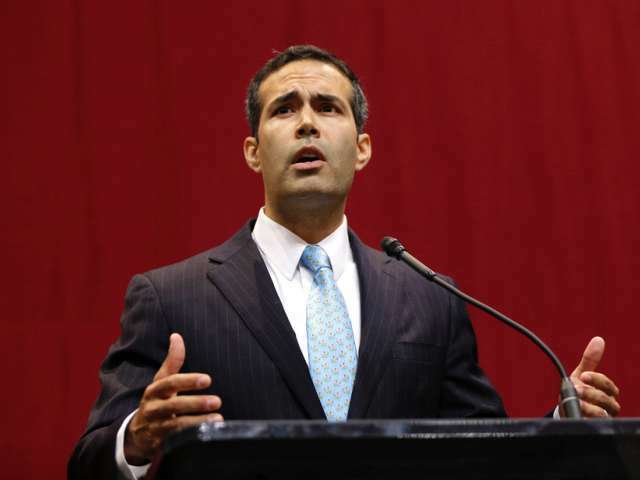 George P. Bush, the oldest son of former Florida Governor Jeb Bush and a U.S. Navy Reserve Officer, is serving his first term as the Commissioner of the Texas General Land Office. It is his first elective office. In fact, Bush won his position in a landslide election making him the first Bush to win office on his first try.